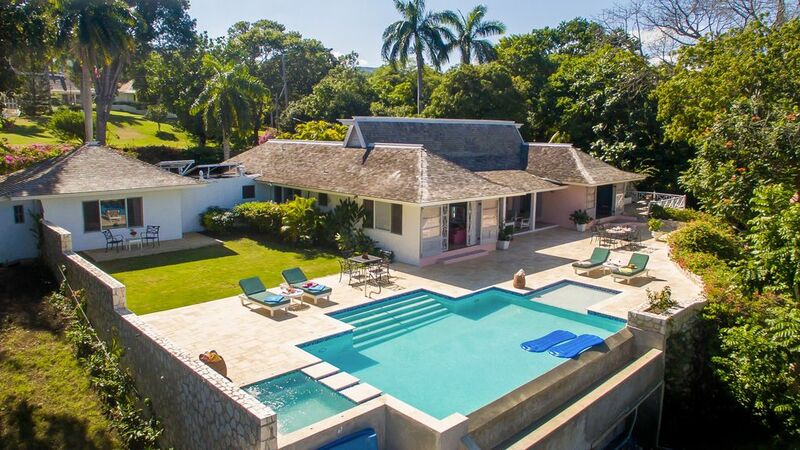 Skylark Villa is a fabulous luxury villa, located on two acres of beautiful tropical gardens with flowers, fruit and palm trees, plants and lush grassy lawns. 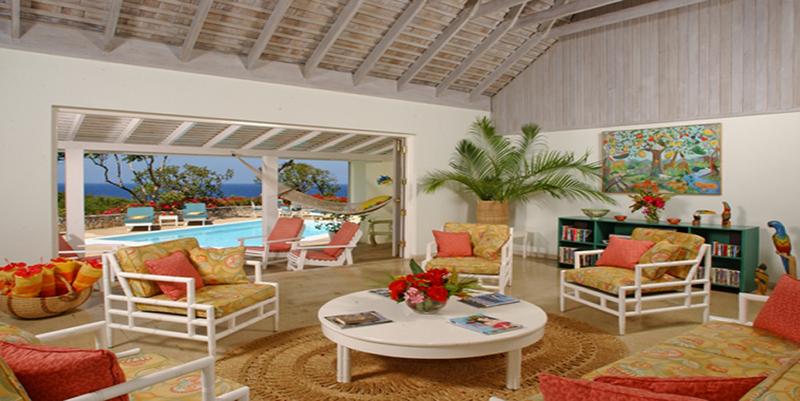 The villa offers picturesque views of the sparkling Caribbean Sea directly overlooking Half Moon Bay. 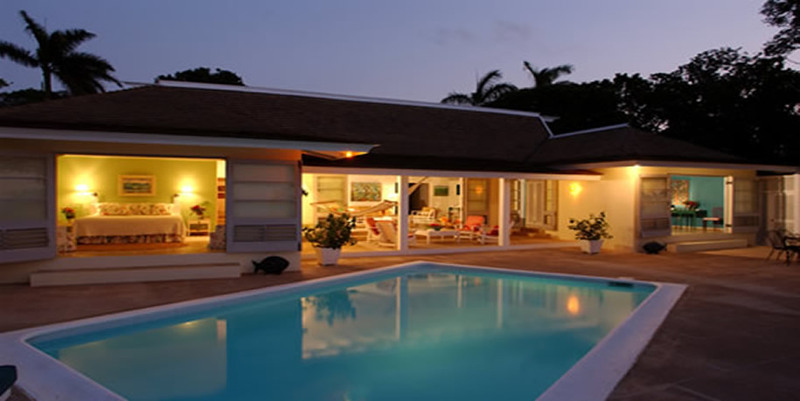 Neighboring villas are also located on large properties of two to five acres with rolling lawns. 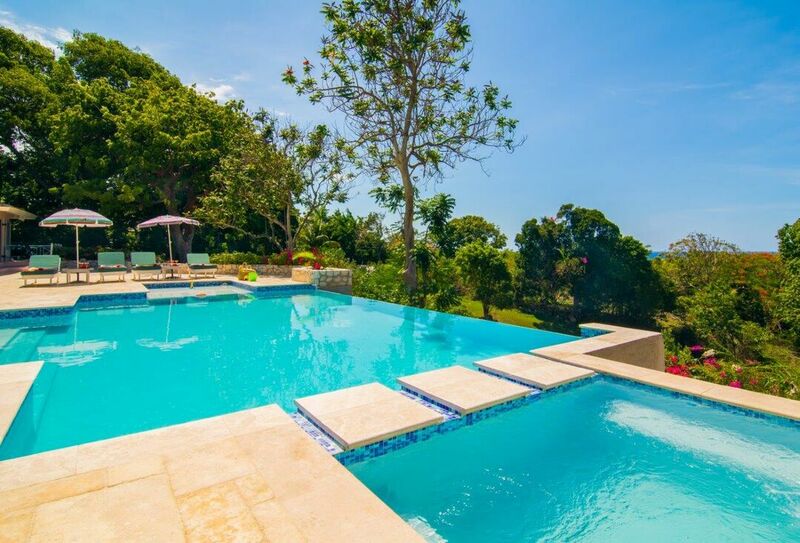 The exclusive neighborhood includes other luxury villas Jamaica. The grounds at Skylark are gated and well-fenced. 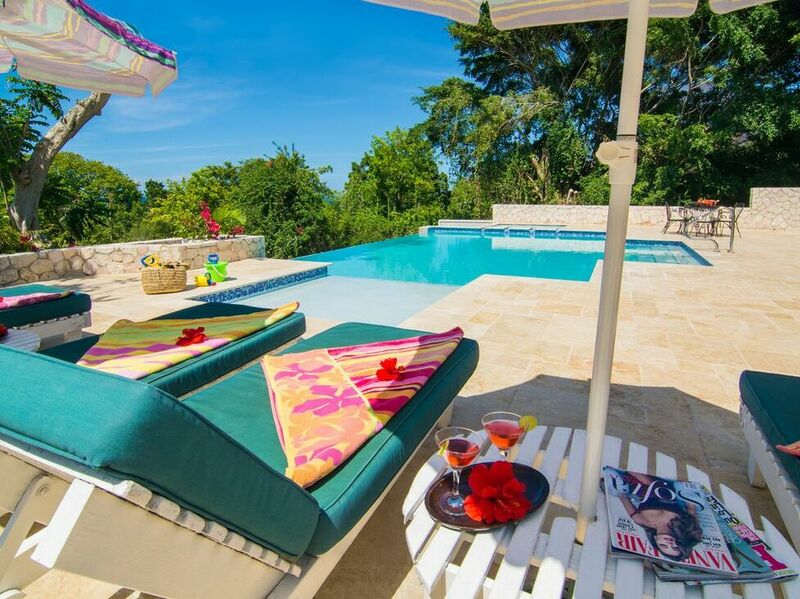 The houseman and villa pet dogs watch the luxury villa Jamaica and its gardens vigilantly 24/7. 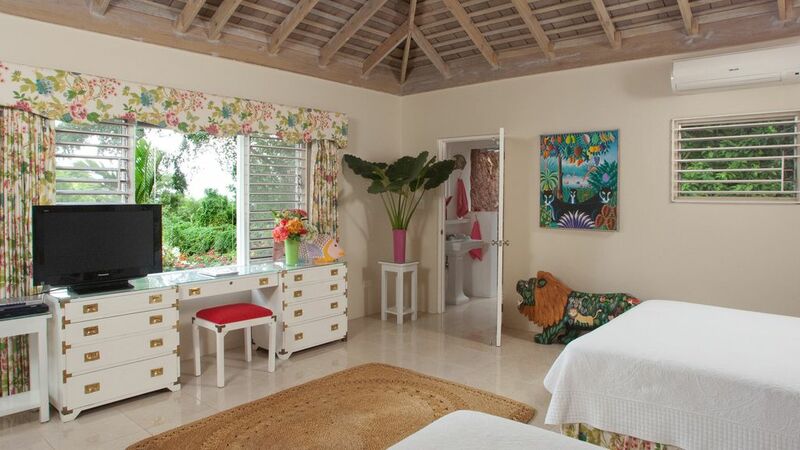 Guests fall in love with the lovely Jamaica villa as they enter through the gated courtyard, filled with tropical plants. 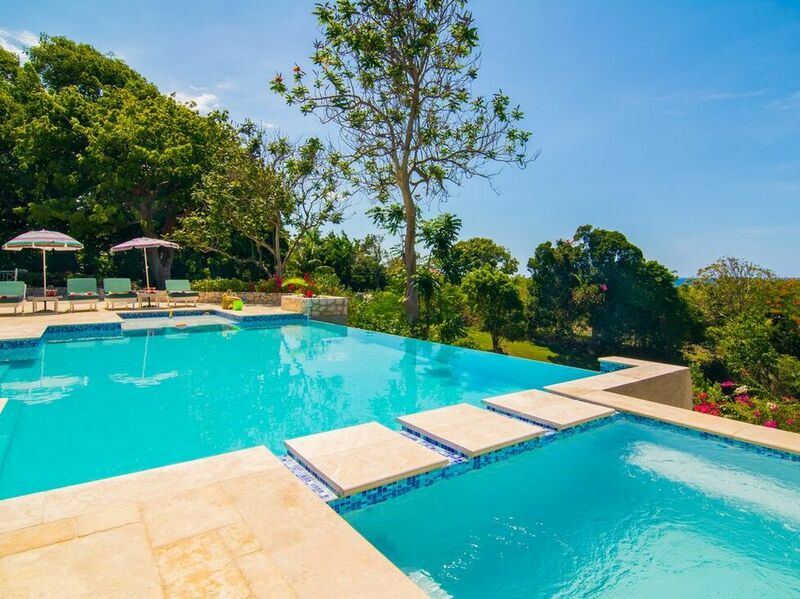 The villa has a very casual, relaxed and airy atmosphere with lovely views of the Caribbean from most parts. 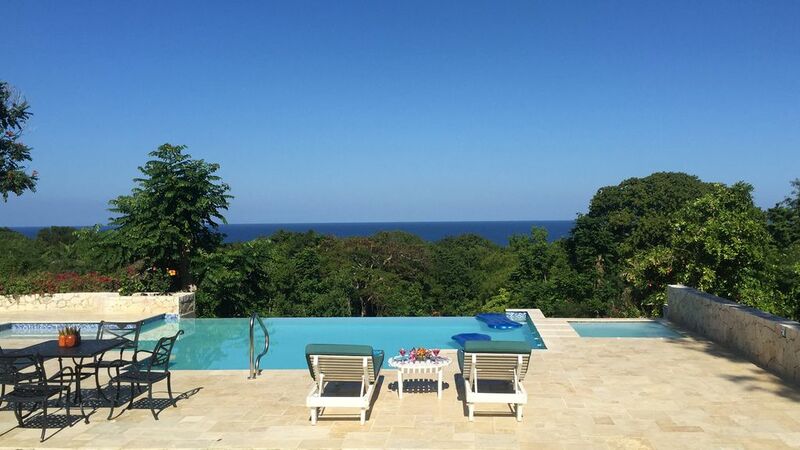 The privacy offered by Skylark Villa makes it appropriate for honeymoon couples. It is also an excellent choice for families or groups of up to eight persons with little children. Additional facilities for children include porta-cribs, rollaway cots and regular cribs. Skylark Villa is equipped with the latest telecommunication services, including an Apple computer, local phone, fax machine and high-speed wireless internet. A cell phone is also provided to guests for making local calls within Jamaica. Free international calls can be made to Canada, US, Puerto Rico, Ireland, UK, Spain, Italy and France. 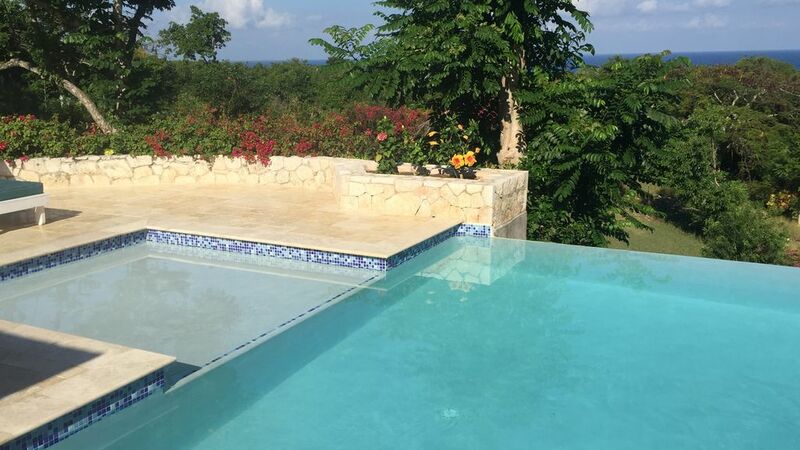 The villa rental in Jamaica is completely equipped with essentials, such as linens and beach towels, which will be washed by the maid. 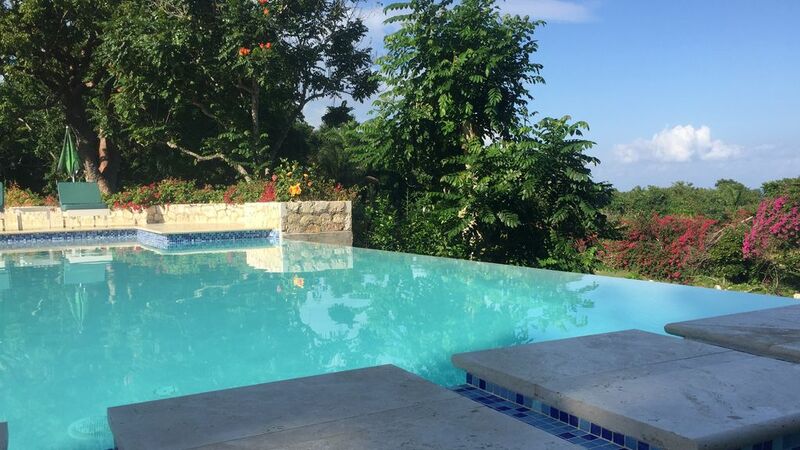 Tap water at Skylark Villa is safe to drink as it is all over Jamaica. Complimentary Internet and telephone services are also available. The main part of Skylark Villa has three spacious and beautifully furnished bedrooms with twin beds that can be converted into king-sized beds, en suite tiled bathrooms, ceiling fans and air-conditioning. The recently added annex guarantees privacy and has an additional fourth bedroom with two double beds and a bathroom. All bathrooms have a bath tub and shower. Every bedroom is equipped with a bureau, dressing table and sufficient closet space. Cable television is available in three bedrooms. Each bedroom also has a safe to keep valuables and tickets safely. The living room and dining room feature high cathedral ceilings. The living room is equipped with Direct TV Satellite Dish television, CD and tape player, DVD and cable television. Wide French doors open onto a covered verandah and patio where the expansive swimming pool is located. 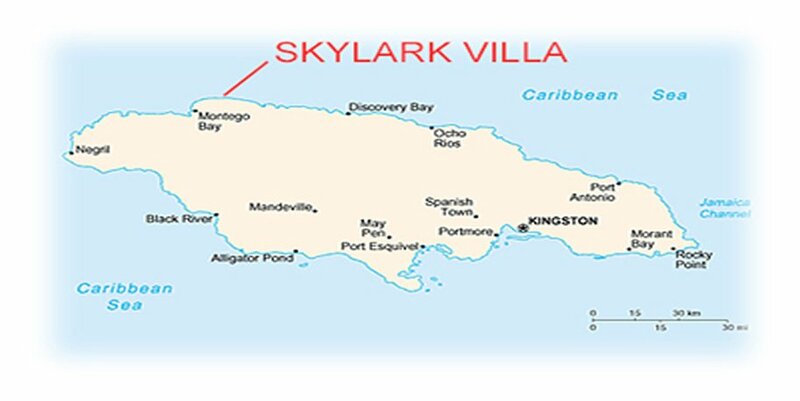 The staff at Skylark Villa includes the cook, maid and an all-in-one butler-houseman-bartender. The staff is extremely reliable and honest. Two of these personnel live in the staff quarters adjacent to the kitchen and are available full-time. 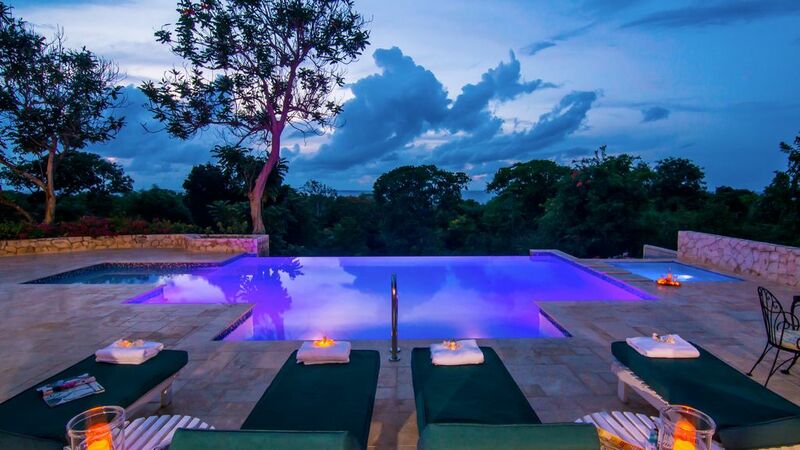 They’ve all been with the villa in Jamaica for years and are very courteous and helpful. They do all the cooking, serving, laundry and cleaning and don’t allow the guests to lift a finger. Skylark Villa will have an initial stock of food and other supplies for approximately two days. For further supplies of food, liquor, wine and beer, guests can call nearby markets for delivery, visit them and get the best fruits and vegetables from the local market in Montego Bay. The cook is the best person to ask for suggestions on the best places to shop and will even do the shopping for the guests. Several excellent beaches are available at a convenient distance and offer wonderful opportunities for water sports and swimming. Doctor’s Cave Beach in Montego Bay is an expansive white-sand beach that made Montego Bay famous and offers watersports, swimming and a food bar. 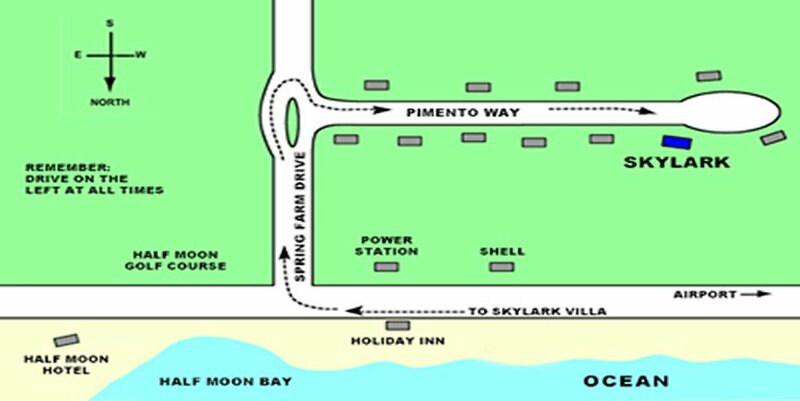 Wyndham Hotel offers a beach and amusement park facility for all ages for a small fee. Other nearby hotels include the Ritz-Carlton Hotel and Half Moon, both with beautiful beaches primarily for their guests. 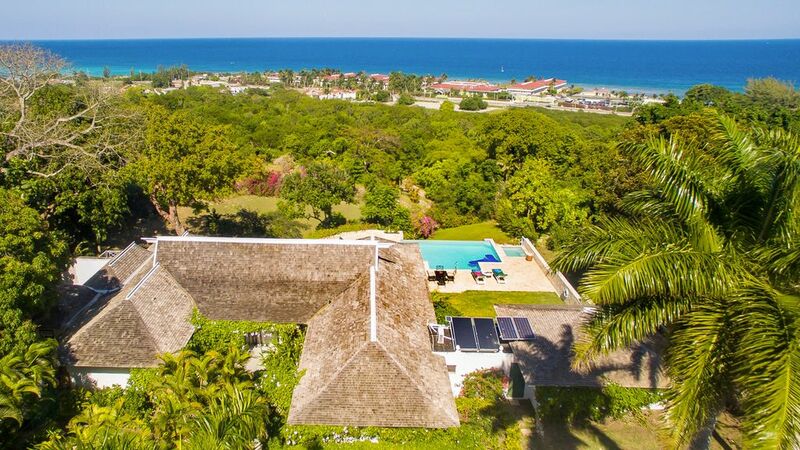 They do offer restaurants, bars and recreational facilities, such as sailing and tennis for the public and can be used by guests at Skylark Villa for a fee. Skylark Villa is located very near four world-class 18-hole championship golf courses, all within a six minute drive and accessible to the public. 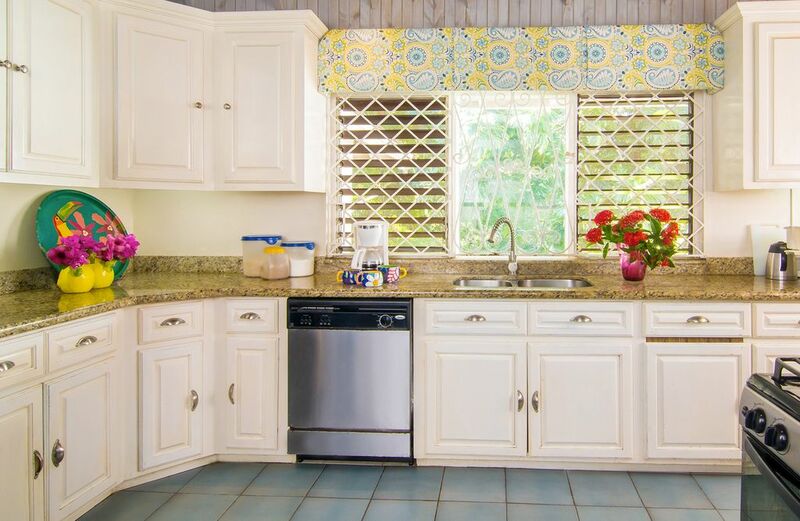 Tryall Golf Course is approximately 35 minutes to the west, while Half Moon Golf Club is just three minutes away. Other nearby golfing options include White Witch, Cinnamon Hill Golf Club and Super Clubs Ironshore. 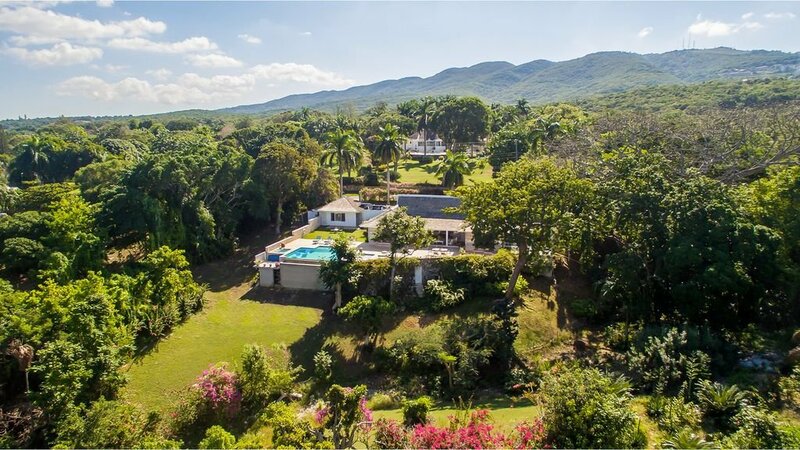 Some excellent nearby places for dining out and drinks are Half Moon Hotel, Golf Course on a hill above Rose Hall, the Club House at the White Witch and Sugar-mill at Half Moon Golf Course. Many other options are available with appeal to different age groups and interests. Memorabilia offers an unusual setting just west of Holiday Inn, with a restaurant, bar and beach. Round Hill Hotel and Tryall offer drinks and meals. Roadtrips to Negril take approximately two hours and is an excellent option for an all day trip along the seven-mile beach on the West End of Jamaica. The cliffs on the way to the lighthouse and the famous Rick’s Café and Rock House are must-visit places. Several hotels and restaurants are located along the beach. Ocho Rios is at a two hour drive along the East Coast; a worthwhile day trip, with fall climbing and a beautiful drive up fern gully. 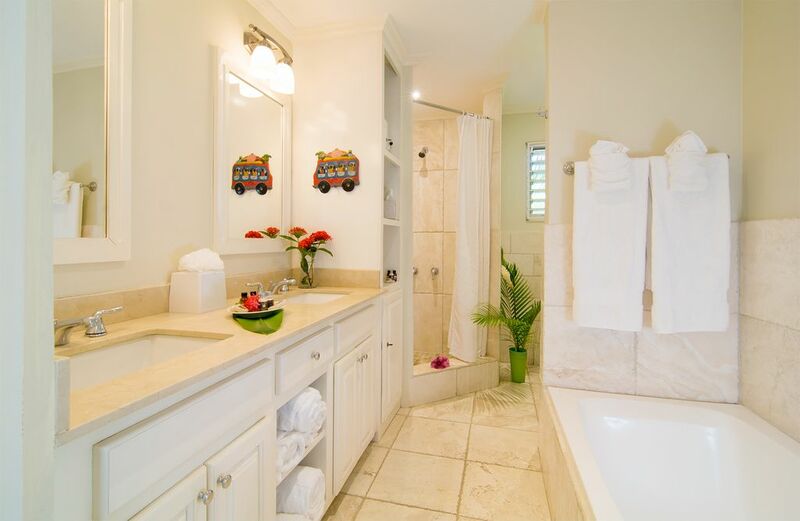 Accommodations: There are four fully decorated bedrooms each with a private bath with tub and shower. The bedrooms have twin beds that are made into king size beds if desired. There is a dressing table, bureau and ample closet space in every bedroom. - Free Internet Wireless throughout the villa. - Callers TO Skylark from the US will only pay for a 617 area code (Boston) call. Note that most hotels have a charge for Internet usage and overseas calls. 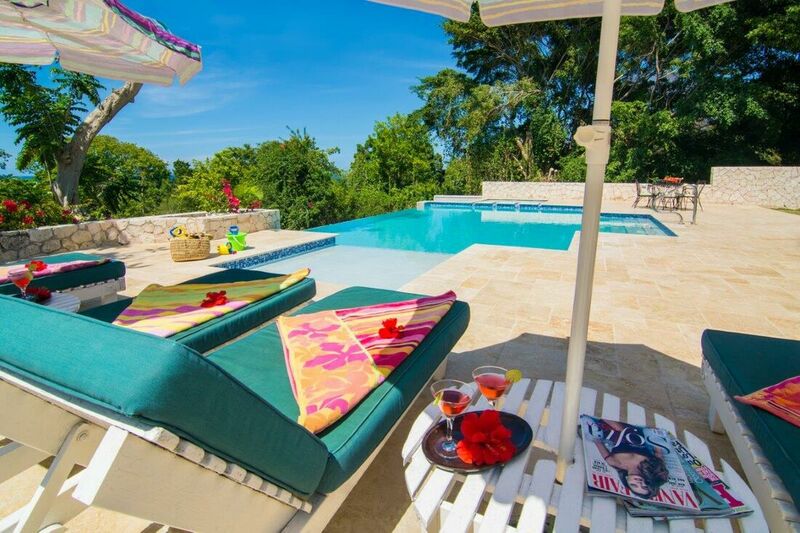 Verandah opens onto the patio and private swimming pool. There is a 27” TV with a Direct TV Satellite Dish. There is also a VCR , a tape/CD player, a phone with fax, free WIRELESS INTERNET. A cable TV (with CN HBO, Showtime etc) in every bedroom and the living room with a VCR is portable and can be used anywhere in the house. Large new 4th bedroom completed January 2009 - with 2 double beds and large "outdoor" shower and indoor shower. This is now the largest bedroom The new 4th bedroom is 18ft x 17ft, flat screen tv, ensuite bathroom, outdoor garden shower, and outside verandah. 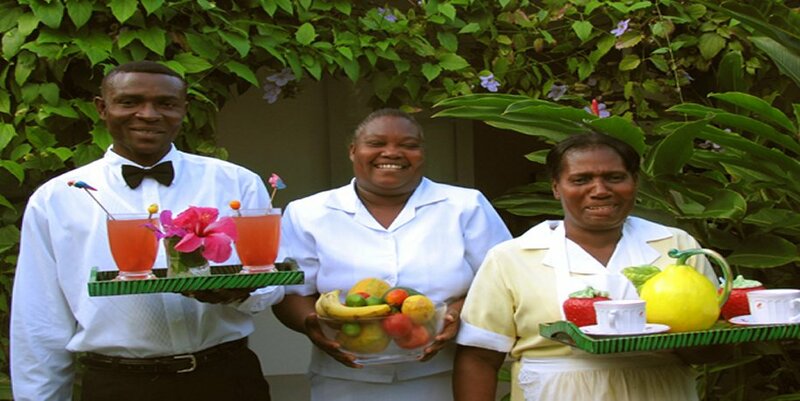 STAFF The staff consists of a cook, maid, laundress and combination houseman/butler/bartender. At least two staff members will be full time at the villa and the will live in the staff quarters located next to the kitchen wing. The staff is very reliable and has been with us for many years. They will be able to answer almost any questions you may have. The staff will do all the cooking and will serve all the meals (at your direction). 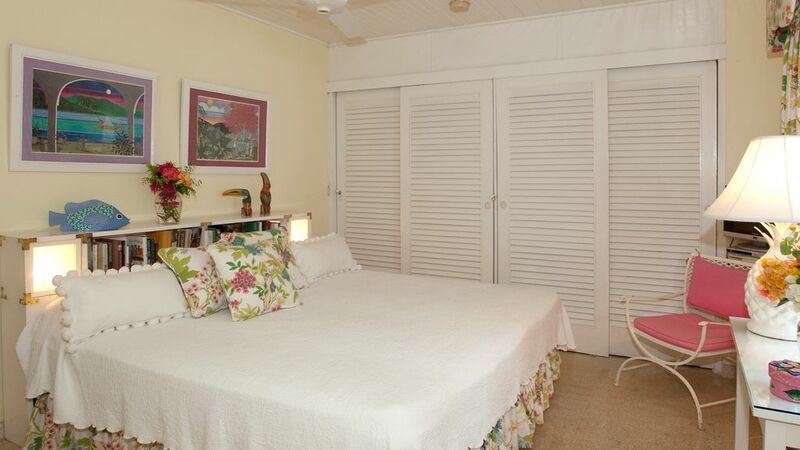 The laundress will wash guests’ clothes as well as the linens. Guest will not have to lift a finger. Guest should tip the staff as they see fit; however, we recommend a tipping as follows: Prepayment of 15% of the rental in low season and 10% in the high season. This is sent directly to the staff. SECURITY Skylark is located in an exclusive neighborhood of luxury private homes on 2–5 acre properties. Skylark’s grounds are gated and well fenced. The houseman and our pet dogs are the watchmen and keep an eye on the property and house both night and day. Each room is provided with a safe to keep your valuables and tickets, etc. The staff is extremely reliable and honest. BEACHES There are many beaches in our area that offer wonderful opportunities for swimming and water sports. Doctors Cave Beach, located in Montego Bay, is wide, with white sand and is “the beach” that made Montego Bay famous in the 1920’s to 1950’s The swimming is excellent and there are also watersports and a food bar. Wyndham Hotel has a beach and an “ amusement-water park facility” for all ages as part of the beach. Daily access to this operation is available from the hotel for a small fee; however, check with the concierge and there may be no charge if the hotel is not crowded Half Moon and Ritz-Carlton hotels, which are nearby, have beautiful beaches which are primarily for their guests; however, they both have bars and restaurants that are open to the public and can be used by Skylark guests at any time. They also offer recreational activities (tennis, sailing, etc.) which outsiders can use for a fee. 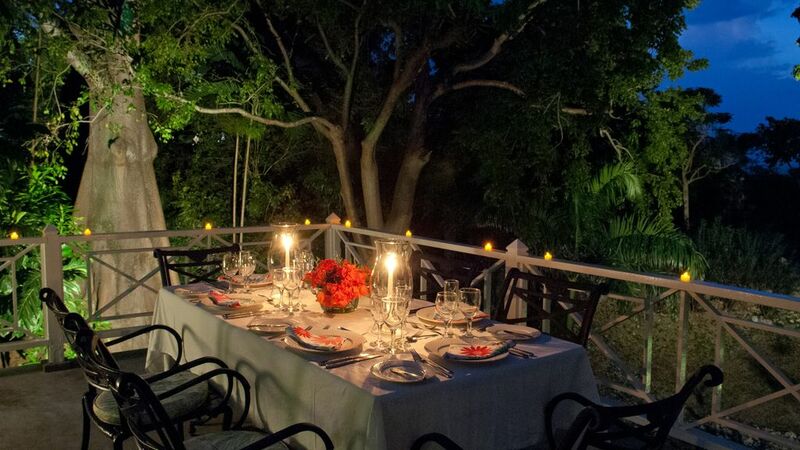 DINING OUT & DRINKS Half Moon Hotel, Sugarmill at Half Moon Golf Course, Ritz-Carlton, the Club House at the White Witch Golf Course on a hill above Rose Hall are great places to go for a drink at sunset of in the evening. All these place serve meals if you wish to dine there as well. 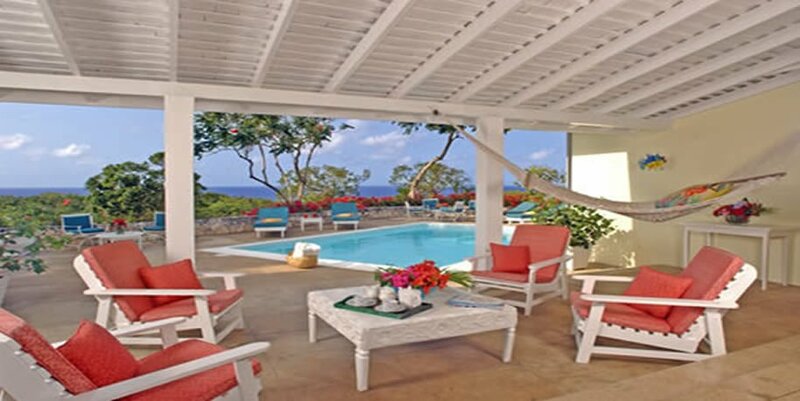 There are many places in Montego Bay that appeal to different age groups and tastes. For an unusual setting try a new place Memorabilia just west of the Holiday Inn near the Caribou Hotel. They have a bar, restaurant and a beach. 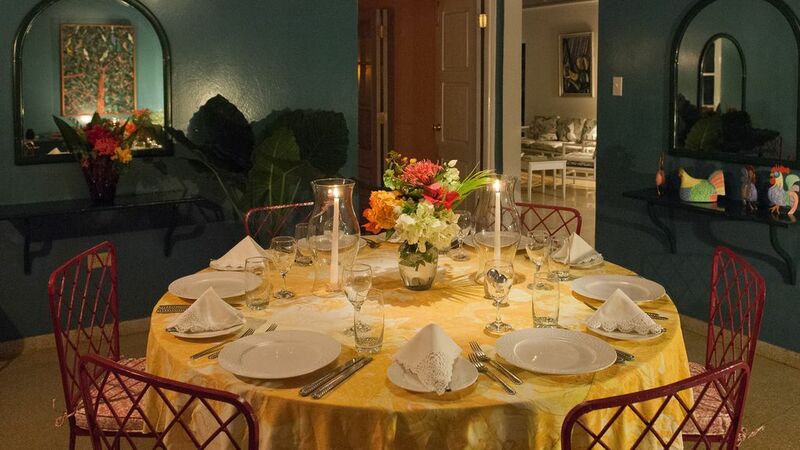 Both Round Hill Hotel (35-40 minutes away) and Tryall (45 minutes away) are open for drinks or meals. Call ahead to confirm. Round Hill has special dinners twice a week. ROADTRIPS Negril is about 2 hours away and is a nice all day trip to the 7 mile long beach on the West End of Jamaica. Be sure to visit the cliffs on the way to the lighthouse and the famous Rick’s Café and Rock House. There are many hotels and restaurants along the beach. Ocho Rios, 2 hours to the East along the Coast, is a worthwhile day trip. Climb the falls and drive up beautiful fern gully. Local trips are plentiful. Check the Guide Books in Jamaica and many attractions will be listed. DIRECTIONS Tell your driver you want to go to the Spring Farm area above the Holiday Inn. Proceed East from Montego Bay Airport about 6 miles until you pass the Holiday Inn on your left. One third of a mile beyond, turn right onto Spring Farm Drive, just before the Half Moon Golf Course. Go straight and bear left at the first intersection. As you pass the intersection, make a sharp 180 degree turn up the small but steep hill and then bear left onto Pimento Way. Skylark will be the 6th house on the right. Go to the second set of gates and the staff will come out to meet you. The new 4th bedroom (completed Jan 2009) is to the right of the 3rd bedroom. 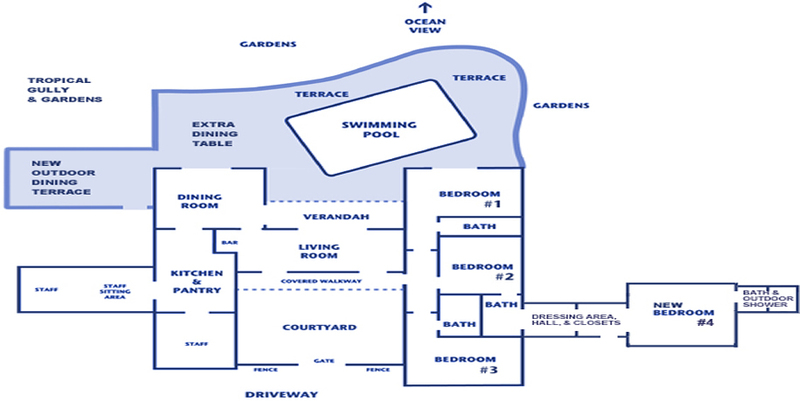 The 4th bedroom is 18ft x 17ft, flat screen tv, ensuite bathroom, outdoor garden shower, and outside verandah.